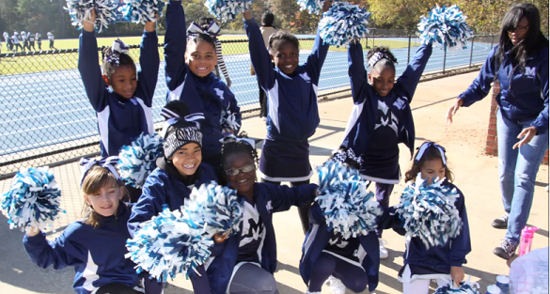 The MYFL Blue Devil Cheerleading Program teaches the fundamentals - Arm Motions, Jumps, Stunts, Sportsmanship, Leadership and FUN! 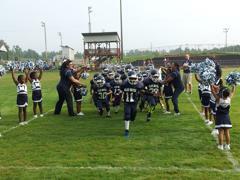 Our season will be action packed as we cheer and support our MYFL Tackle and Flag Football teams. Is your child new to cheer? Is this their first team acticity? No problem! 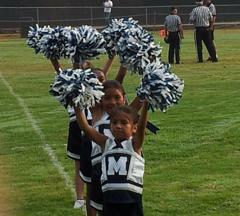 We at MYFL work hard to create an environment for your child to learn to cheer. We focus on sportsmanship, team building, and fun. Your child will learn arm motions, jumps, stunts, and cheers. We have two different teams based on your availability and time commitments, for grades K-7. Flag cheer practices at least once a week with games on Saturdays. Each game will be played at Marietta High School. Tackle cheer practices Tuesday and Thursday. Games are also on Saturday but are throughout the Cobb County area. Both cheer teams will have the opportunity to participate in a cheer competition. We pride ourselves in making each team just as special as the other. CHEER PRACTICES START JULY 23TH! 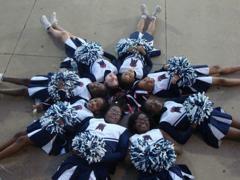 MYFL Cheer Practice at 6:30pm at Marietta High School Soccer Field. Competition cheer practices start in September. See your MYFL Blue Devil Cheer coaches for more details! The Tackle Game season schedule for 2017 will be published in the late summer after all programs have finished registration. All games are governed by the Georgia High School rules of play. For the addresses of other CFL league programs, click the appropriate name below for directions. 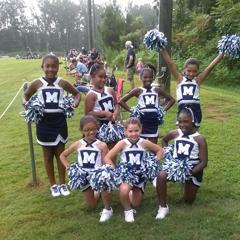 Congratulations to our outstanding MYFL Cheerleaders! 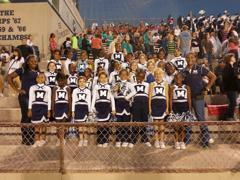 A Special Thanks to Marietta HS Cheerleaders! MYFL Blue Devil Cheer Program would like to thank the Marietta HS Cheerleaders for their leadership and support at our free cheerleading camps. Teaching cheers, arm motions, jumps and stunts, your participation was the reason our camps have been a success. We look forward to your continued involvement in the MYFL Blue Devil Cheer Program and again thank you for your support. 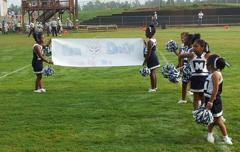 MYFL Blue Devil Cheer Welcome the Atlanta Falcons Cheerleaders! 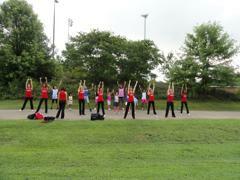 On July 14, 2012, the free MYFL Cheer Camp had a special guest appearance from the Atlanta Falcons Cheerleaders! The participants learned dance routines and cheer moves. There were smiling cheerleaders and shaking pom-poms! Our campers had a blast. 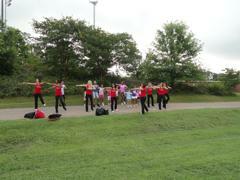 Thanks again to the Atlanta Falcons Cheerleaders for leading the camp and showing our girls the fun in cheerleading! The fun continued on July 13, 2013, as the Atlanta Falcons Cheerleaders visited our Free Cheer Camp at Marietta High School's Practice Field. There was cheering, dancing and a long line for autographs. It was a pleasure to have the Atlanta Falcons Cheerleaders. THANK YOU!! !